MOST politicians are scared stiff of newspapers. That is one of the reasons why so many of them employ ‘media minders’ and ‘spin doctors’ and why some are ambivalent about the financial difficulties the media now faces. I maintained recently, here on allmediascotland and in a letter to The Herald, that if local and national government were to stop placing public notices in the press and permit all public information advertising to be switched to the internet then democracy would be seriously damaged and some newspapers would close. 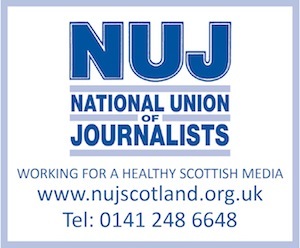 Since then, there have been meetings between newspaper managements and Holyrood politicians, where the possibility of government subsidies for the printed media has been discussed, albeit sotto voce. However, the ‘elephant in the room’ has been ignored. It is this: most of the media’s problems are of their own making. The newspaper industry is the author of its own misfortune. Their advertising rates for public notices are too high. They have been that way since the fiscally roaring 1980s and 90s when councils were looked upon as milch cows and rates were hiked to unconscionable levels by avaricious advertising directors. Media House’s Jack Irvine says that “most of the people running UK newspaper advertising departments couldn’t find their asses in a dark room, so there’s not much chance of them solving the biggest threat facing newspapers for many decades”. I agree. Editorial standards in the past ten years have dropped dramatically due to management parsimony. Newspapers have been dumbed down and mediocrity is ubiquitous. Economies of scale implemented 40 years ago by closing local printworks and caserooms were acceptable then because the ‘new’ technology introduced at that time led to bigger and better newspapers. That boom gave editorial and advertisement departments scope to experiment with special features and supplements. Newspapers got bigger and better and had sufficient staff to assign reporters to investigative projects -and these people did a great deal of good work and won plaudits across the board as the industry prospered as never before. Then corporate greed took over. While ‘filling their boots’ with huge salary hikes and shares options, managements, which were top heavy with advertising people, decided to turn the financial thumbscrews on the editorial and production departments. Agency workers were brought in to replace the skilled, loyal and experienced production workforce. Editorial budgets were squeezed ’till the pips squeaked’. Important local events were covered only by freelance photographers while reporters played catch up on the telephone. The readers lost out. It wasn’t just councils that suffered. Coverage of presbyteries and other church news was dismissed as editorial eccentricity. Politics was boring and for ‘anoraks’ and older people, according to the ad men. Bingo and other down market promotions were the order of the day. Cheap, easy to obtain, news was now in ‘ten-a-penny’ court cases about drug addicts; violence and petty crime were writ large across newspapers. Councils and enterprise companies complained their towns were being made to look like sink estates and took it upon themselves to produce their own publications. Unsurprisingly, circulation figures dropped like a stone and advertising began to drift away. The figures for both continue to plummet. The legendary American newspaperman, H L Mencken, said the only way for newspapers to compete against radio and TV – the internet of the day – was to produce better newspapers. That advice still holds good. But in spite of it, newspaper management have continued to slash and burn, even to the extent of not replacing editors and editorial offices. Some local newspaper offices have been closed and replaced with call centre type operations many miles from their circulation area. No wonder they’re in trouble. The SNP’s Jim Mather talks of councils advertising in their local papers as “an indirect subsidy” and says it is not justifiable. It needn’t be that bad, however. These groups are symbiotic. They need each other, the politicians for publicity and the journalists for the stories that are their lifeblood. A good outcome would be for the Scottish Government to recognise the democratic deficit that removing this requirement this would create, and for it to say that while it was not in favour of withdrawing the legal obligation for councils to place public notices in newspapers it wanted to see value for money. This would mean that the newspapers would retain a large part of the revenue – estimated at £10 million from local and national government – which they are currently in danger of losing. However, the quid pro quo for this should be a commitment from the newspaper industry to review and reduce their advertising rates and to ensure that editors have adequate staff to provide reasonable coverage of public affairs for their readers. An independent ‘media czar’ could be appointed to monitor this. Bill Heaney is a former award-winning editor of the Lennox Herald and special adviser to First Minister, Henry McLeish. He was also for four years media adviser to the Rt Hon John McFall MP, chair of the Treasury Select Committee. Heaney is an Emeritus Editor of the Society of Editors (Scotland) and a life member of the National Union of Journalists. He is now a media consultant.